Aluminox is selected as the galley supplier for this project. We thank the yard and the owner and a special thanks to RM Germany who is the main contractor for the public and galley areas that have put their trust for this challenging project. 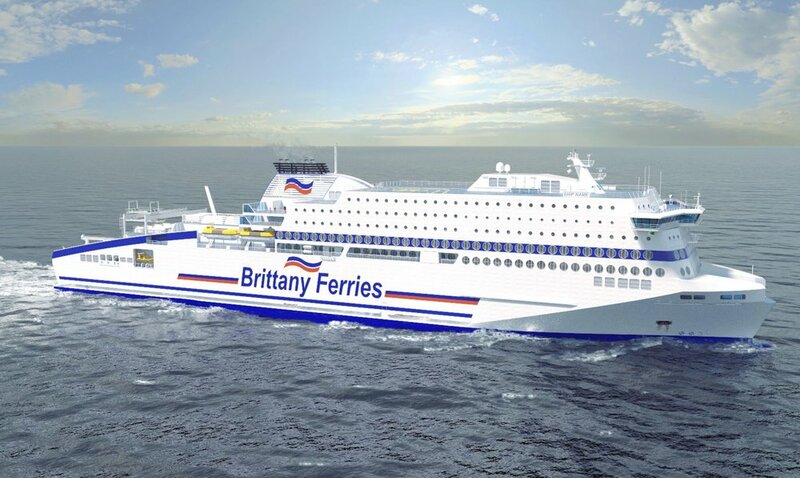 The text below is from the press release of Brittany Ferries. Meet Honfleur - named after the delightful port town on the River Seine, our newest vessel will arrive in 2019 and serve on our popular Portsmouth to Caen route. It's certainly not every day that we commission a new ship - so let's introduce the newest member of the Brittany Ferries fleet. What will Honfleur look like? Above is an artist's impression of how Honfleur will look when she arrives in 2019. She will be the largest vessel in our fleet, by volume, at 42,400 gross tons. That compares with 41,000 for our current flagship Pont-Aven. Honfleur will be the greenest vessel regularly operating on the English Channel. That's partly thanks to her innovative design, which burns fuel with no sulphur emissions, much lower particulates and less carbon dioxide than diesel. Expect to hear more about additional environmental initiatives in the build-up to her launch. Power delivery promises to be very different to other ferries in our fleet. Honfleur's four engines meet a standard known by the collective name diesel-electric-propulsion. It's used extensively on large cruise vessels because it reduces vibration, noise and optimises fuel consumption - particularly at reduced speeds. With a quieter, gentler sailing, you can sleep easy on your way to your next destination. How will it feel on board? Our fleet hosts a collection of some 1,000 works of art on board its ships. This includes paintings, sculptures, work in ceramics, photography and more. Alexander Goudie (a Scotsman with a Breton wife) is perhaps the most famous and widely represented on board, following an initial commission for works to fill the interior of Bretagne in 1989. Honfleur, the ship, will continue this rich tradition, showcasing many works by local artists. You can also expect our trademark fine dining, cinemas, boutiques and much more.